Researchers at the NIH and Oregon Health & Science University (OHSU) have found that an experimental vaccine elicits antibodies that can protect nonhuman primates from Ebola virus infection. Ebola virus causes severe hemorrhagic fever in humans and nonhuman primates, meaning that infection may lead to shock, bleeding, and multi-organ failure. According to the World Health Organization, Ebola hemorrhagic fever has a fatality rate of up to 90 percent. There is presently no licensed treatment or vaccine for Ebola virus infection. Several research groups have developed experimental vaccine approaches that protect nonhuman primates from Ebola virus and the closely related Marburg virus. These approaches include vaccines based on DNA, recombinant adenovirus, virus-like particles, and human parainfluenza virus 3. But how these vaccine candidates confer protection is an area that is still being explored: Do they activate immune cells to kill the invading virus? Or do they elicit antibodies that block infection? 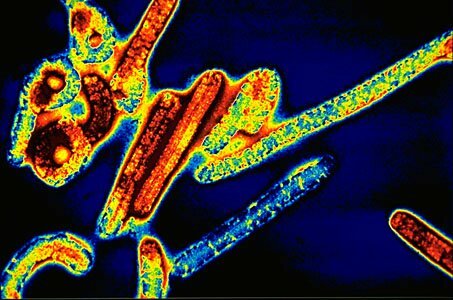 In the current study, scientists at NIH's National Institute of Allergy and Infectious Diseases and OHSU's Vaccine & Gene Therapy Institute built on earlier work with an experimental vaccine composed of an attenuated vesicular stomatitis virus carrying a gene that codes for an Ebola virus protein. They observed how cynomolgus macaques responded to a challenge of Ebola virus before and during treatment with the vaccine and in conjunction with depleted levels of immune cells. Their results showed that important immune cells—CD4+ T cells and CD8+ T cells—had a minimal role in providing protection, while antibodies induced by the vaccine appeared to be critical to protecting the animals. In a small study, researchers reported increased healthy tissue growth after surgical repair of damaged cartilage if they put a “hydrogel” scaffolding into the wound to support and nourish the healing process. The squishy hydrogel material was implanted in 15 patients during standard microfracture surgery, in which tiny holes are punched in a bone near the injured cartilage. The holes stimulate patients’ own specialized stem cells to emerge from bone marrow and grow new cartilage atop the bone. Results of the study, published in the January 9, 2013 issue of Science Translational Medicine, are a proof of concept that paves the way for larger trials of the hydrogel’s safety and effectiveness, the researchers say. “Our pilot study indicates that the new implant works as well in patients as it does in the lab, so we hope it will become a routine part of care and improve healing,” says Jennifer Elisseeff, Ph.D., Jules Stein Professor of Ophthalmology and director of the Johns Hopkins University School of Medicine’s Translational Tissue Engineering Center (TTEC). Damage to cartilage, the tough-yet-flexible material that gives shape to ears and noses and lines the surface of joints so they can move easily, can be caused by injury, disease, or faulty genes. 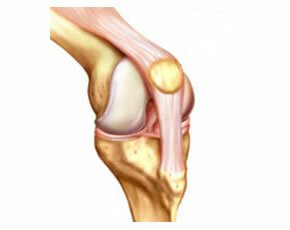 Microfracture is a standard of care for cartilage repair, but for holes in cartilage caused by injury, it often either fails to stimulate new cartilage growth or grows cartilage that is less hardy than the original tissue. Tissue engineering researchers, including Dr. Elisseeff, theorized that the specialized stem cells needed a nourishing scaffold on which to grow, but demonstrating the clinical value of hydrogels has “taken a lot of time,” Dr. Elisseeff says. Shutting down a specific pathway in cancer cells appears to improve the ability of common drugs to wipe those cells out, according to new research from scientists at Fox Chase Cancer Center, published in the January 2013 issue of Cancer Discovery. "Ideally, this research will eventually enable scientists to find drugs that disrupt this pathway and boost the impact of current therapies," says Igor Astsaturov, M.D., Ph.D., Attending Physician in the Department of Medical Oncology at Fox Chase. "That's the long-term plan." The new approach appears to enhance the tumor-killing ability of a commonly prescribed class of drugs that includes cetuximab (Erbitux), used to treat colorectal and head and neck cancers. These drugs work by blocking the activity of the epidermal growth factor receptor (EGFR), which sits on the cell surface and senses cues from the environment, telling cancer cells to grow and divide, says Dr. Astsaturov. "The whole mantra of modern day oncology is to suppress these inputs." Although EGFR inhibitors succeed in killing cancer cells, some malignant cells still find ways to evade the drug, and become resistant to treatment. Consequently, many researchers are actively looking for ways to kill these surviving cancer cells, annihilating tumors completely. In 2010, Dr. Astsaturov and his colleagues identified a pathway in the cell that, when blocked, completely suppressed EGFR activity. Interestingly, the pathway consists of a series of enzymes that, when working in concert, synthesize new molecules of cholesterol, an essential component of the cell membranel. This pathway is particularly important to cancer cells, which are constantly dividing and therefore need to produce more cholesterol for the new cells.